(Seychelles News Agency) - 'Moringa oleifera' or the edible ‘bred mouroum’ or ‘bred pti fey’ as it is commonly known in the native Creole language, can be found in the home garden of almost every household in Seychelles, which has a population of around 93,000 people. Inhabitants of the Indian Ocean archipelago of 115 islands are used to consuming the tiny green leaves cooked as a traditional broth with fish or in other local dishes including curries. The plant is similarly used in other countries mainly in Africa and Asia, where it is as also used as a green tea consumed after meals. The Moringa plant, which is native to South Asia, where it grows in the Himalayan foothills but widely cultivated across the tropics as well, also has its health properties, which two Seychellois businessmen are tapping into. 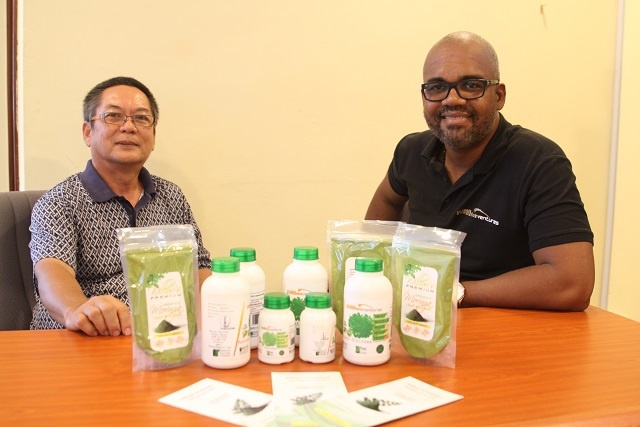 It was about four years ago that business partners Wilson Nancy, a civil engineer by profession and David Low Yoke, a self-employed Seychellois of Hong Kong origin, came up with the idea to transform the locally grown plant into a food supplement. An idea born while the pair was on a business trip to Hong Kong, after they realized that all the restaurants they had been to, served green tea to customers after meals. In an interview with SNA, Nancy explained that they were intrigued by how many plants can be used in a non-traditional way and provide the same if not more nutritional benefits. Under the label of their co-founded business 'Willow Ventures', the dynamic duo came back to Seychelles and started preparations to send samples of the Moringa leaves to two laboratories in Hong Kong to test the level of toxins in the plant as well as its nutritional contents. 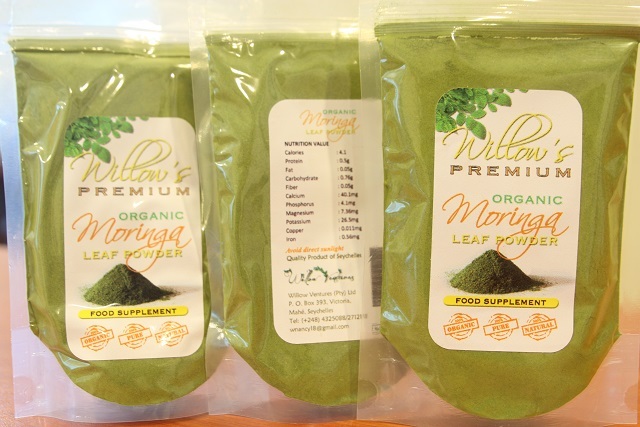 “Both results showed that the Moringa we have is very nutritious which provided the groundwork for more research that led us to start experimenting with the idea to transform the leaves into powder form. To be able to do that we imported specialized machinery from Taiwan; one that is specific for Moringa leaves...” Nancy explains to SNA. 'Willow Ventures' which was set up in 2011, is involved in other businesses such as retail and construction, with Nancy being well versed in civil engineering. Commenting on the diversification, from the construction to pharmaceutical industry, the two being completely different fields, Nancy said that attending Business school in Birmingham, UK he learned “not to put all my eggs into one basket." 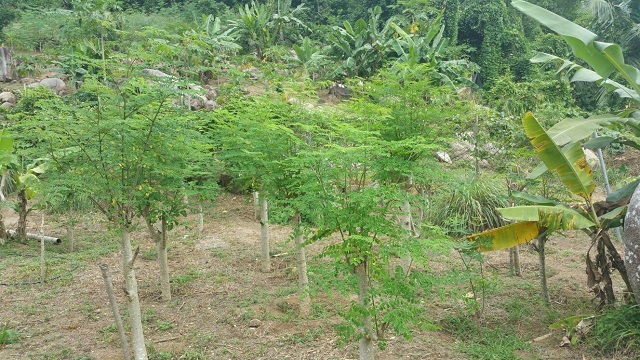 ‘Willow Ventures’ owns a commercial fruit farm in the Takamaka district, in the southernmost part of the main island of Mahé which has now been extended to include a Moringa farm. It is at the same farm that the machinery used to process the leaves, turning them into powder form have been installed. “We have to allow the Moringa leaves to dry out first before putting it in the machine. We do not dry the leaves in the sun otherwise it will lose all the nutrients so we allow them to dry indoors,” says Nancy. “After the leaves are dried we put them into the machine where they are crushed and thinly powdered, as thin as flour...It is extremely important to point out that no chemical is added to the final product. We keep it 100 percent organic. The powder is then fitted into capsules and the prescribed dosage can be taken as a food supplement...” adds Nancy. According to Nancy, Willow Ventures have sought the expertise of different international authorities in the field; and a laboratory in South Africa has also advised them that a maximum of 2 Moringa capsules should be taken in the morning and another two in the evening, not more than that equivalent to 8 gramms of the product a day. It's been over a year, since Nancy and company have been testing the product by distributing them to friends, families and other acquaintances and they describe the feedback as encouraging and positive enough to start introducing the Moringa capsules on the local and international market. 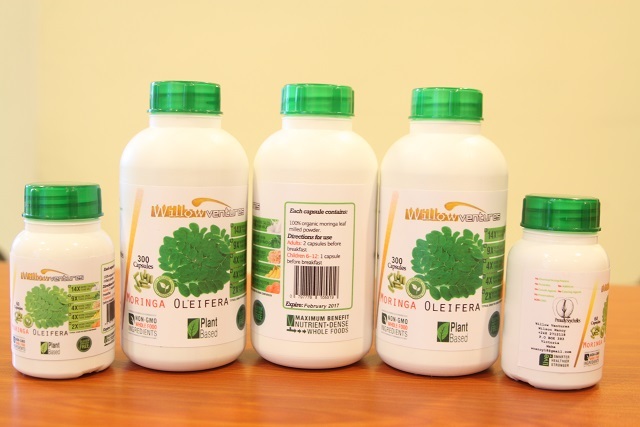 Apart from the vegetal capsules the Moringa product being produced by the Seychellois entrepreneurs are also available in pure powder form. The product is yet to reach the local market though, as Willow Ventures have to finalize some important paper work relating to their license. “We are waiting for the Ministry of Health to approve the premises for processing the product to resolve the license issue. Currently, our Moringa factory is functioning as a cottage industry where no license is needed until we start to export large volumes then we will need the license. So the delay here is with the new premises…however we expect the product to reach the market, hopefully before the end of this year,” Nancy told SNA. Projecting that demand will rise in the near future, availability of land to grow more Moringa trees has been identified as one constraint as Nancy believes they need to have about 20 thousand Moringa plants to cater for anticipated orders. 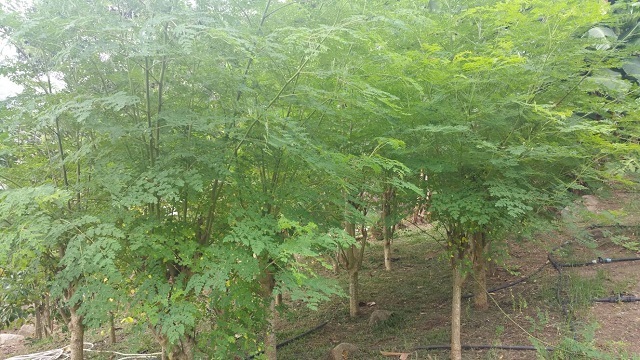 There have been Moringa supplements made available locally in the past although they were being imported by a Seychellois Naturopath, Dr. Pascal Chang-Leng. Naturopathy is a form of alternative medicine that favors a more holistic approach by using other means of treatment such as homeopathy, herbalism, acupuncture, diet as well as life style counselling, with the belief that health conditions can be treated by understanding the body, mind and soul of a patient. According to Chang-Leng a lot of people do not know about the general benefits that can de derived from the plant. In the medical world, the leaves, bark, flowers, fruits, seeds and roots of the Moringa which is rich in vitamins, amino acids, anti-oxidants and protein are all used to treat different types of ailments and health conditions. This includes anemia, arthritis, asthma, diabetes, epilepsy, high blood pressure just to name a few. Its seeds are also used in some hair products, foods, machinery and perfume. Because it can be easily and cheaply grown, the plant is an important source of food in many underdeveloped countries mainly in Africa or India where it is used to complement feeding programmes to fight malnutrition.